Thirteen just might be your lucky number especially when starting your Friday the 13th with these. Add some shine to your Thanksgiving events with these beautiful leaves. Apply Elmer&apos;s glue to each leaf and then sprinkle glitter over the leaf. Let the glue set and shake off the excess glitter. *Punch a hole at the top of each leaf before or after and attach a ribbon that you can tie up or use to a large ribbon strand to hand the pieces from. In preparing for Mother&apos;s Day I started thinking how often we take for granted such simple moments that are actually times that turn into everlasting memories. I am blessed to have my mother and to share so many memories but as I started getting ready for the holiday I realized I really didn&apos;t know the little things about my mom. I didn&apos;t know her favorite food or even her favorite flower so ... I asked. My mom told me she didn&apos;t really have any "favorites" and that she really didn&apos;t even know her favorite color. This all got stuck in the wheels of my mind (I kind of get like that) and I kept contemplating how that could be? She had made casual remarks over the years that she liked something or thought something was pretty BUT how did I never realize this? I looked around me and there were so many precious feelings... and then it made sense. My whole life I grew up with memories of scents, taste, sounds and feelings. These memories were created and etched by a mother who constantly gave in order to let me fly - well, actually soar into life. I laugh at myself because when the kids asks, "What do you want?" out comes my mother. I hear them say, "Mom, that&apos;s tradition" and I know I have my momma to thank. I know I will carry these precious memories with me and she will always be with me. I am blessed to have her, amazed at her strength, but most of all, so very proud to call her mine!!! When I first thought of what reminded me most of my momma ... Meatloaf. I know, I have no idea. I don&apos;t think anyone could match her cooking for we kind of just add things. Secondly would be her Swiss steak with freshly canned stewed tomatoes over mashed potatoes simmering on a Sunday afternoon. I think I see where my comfort foods come from. 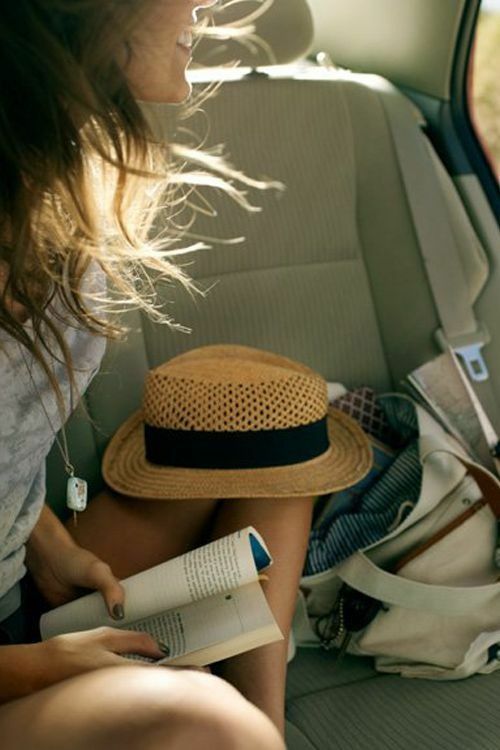 My love of reading and adventure led me to a life of creativity and endless dreams. It&apos;s funny how memories can make you feel warm and safe. This isn&apos;t the exact chair but we use to have a high red chair at the end of the counter where I&apos;d put my feet on the wall vent, clicking it open and shut while mom cooked. To be honest, I never understood why we had this because vegetables and dessert made no sense. Now I smile. My last thought is something that makes me laugh because I can hear the phone call(s) still ... my bread salad - and no mom, this still is not the recipe. I don&apos;t have a recipe. With that, I&apos;m off to make some more memories. A very Happy Mother&apos;s Day to all of you. Remember, you are important to someone and be sure to tell them. I Love You Mom and Thank You for being exactly who you are!!! After hitting a health bump in my road the last couple weeks I had little to do but to think about work and how much I was missing my connection with everyone during my recovery. I also started thinking about those that travel and do we really think about getting sick while on vacation? Are we as prepared as we think we are? Away my mind started to travel and thought it might be a good time to share some thoughts and safety issues for those “just in case” moments. Before you even leave, make sure you check insurance coverage with your carrier and, particularly, whether or not you are covered while traveling abroad. Also, keep in mind that some insurance plans do not cover you if you’re more than 100 miles from home. If your coverage does not apply to where you might be traveling, it's probably a good idea to buy travel insurance that includes medical benefits. Know the protocol to use the benefits in advance. Many insurance company's allow consumers to compare travel-insurance rates. Travel insurance costs will vary by age, coverage limit, length and price of your trip. So now you’re aware of your coverage and it’s time to get ready. First and most importantly, make sure you have all your insurance documents and information with you, including your prescription drug card. Complete the information page on the inside of your passport in case of emergency or if you aren’t travel abroad or don‘t have a passport, write out your information and emergency contacts and keep it with your documentation along with a concise list of your medications . Remember, those of you who take medications should pack enough to last the entire trip and then extra in case of travel delays. For those that have a pre-existing medical condition, carry a letter from your primary care physician describing the condition and any prescription medications you are currently taking, including generic names for these drugs. Be sure to leave any medications you are taking with you outside of the United States in their original containers, clearly labeled. Some medications are considered to be illegal narcotics in foreign countries. You may want to check with the foreign embassy of the country you are visiting to be sure. For more information and in severe cases, contact the nearest US embassy or consulate for a list of local physicians and medical facilities. If your illness is serious, consular officers can help you find medical assistance, and, if you desire, inform your family and/or friends. They can also assist in the transfer of funds from family or friends in the United States. Payment of hospital and other medical bills are the travelers' responsibility. To be prepared for those minor incidents, bring the basics when you pack. I always bring a supply of medicine with me for headaches, coughs, colds, stomach disorders, along with band-aids, ointments and other first aid needs. Just because you’re on vacation doesn’t mean you can’t take a day to relax and hopefully heal. Missing one day may be a lot better than missing out on your whole vacation. If you’re still not feeling well, there are several options for you to help aid in your recovery. Your hotel front desk or concierge can help you in seeking a doctor or pharmacy nearby and possibly help you in transportation. Sometimes, if you're not sick enough to need a doctor, a pharmacist can suggest over-the-count medicines that can be helpful. You may be able to find Mobile Physicians who actually visit you at your location. Just note that you may have to pay upfront for many of these “in-home” services and your insurance company may not reimburse you for all the expenses. However, if you have travel insurance, some of these expenses may be covered. A trip to an urgent care center or even an emergency room are also options. Be sure to keep all the paperwork you receive so you are able to submit itemized bills for reimbursement to your health insurance provider. Hopefully you will never need to use this information and your travels are safe and healthy, but at least you are prepared and have your resources ready! 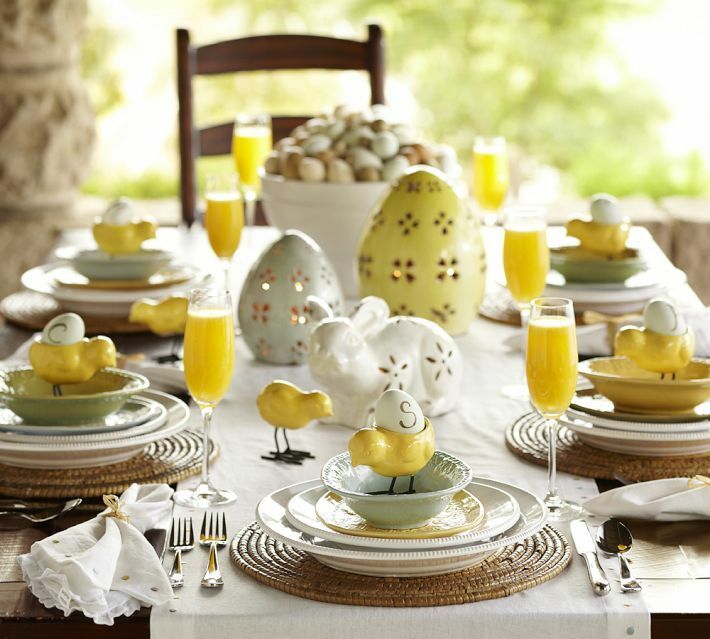 From whimsical to serene, design a table fit for you and your guests this Easter holiday. Oslo Press http://www.oslopress.com specializes in unique wedding invitations of wood veneer or paper. Their wood invitations are laser engraved with an original design, while the coordinating elements to the invitation suite re-created using paper and letterpress. The wood invitation sets combine the use of rich wood veneer and elegant paper, making them some of the most unique and creative wedding invitations around. Each individual invitation is made of wood veneer that has been engraved with a design. The design is enhanced by the grain of the wood and each invite will be truly unique due to the natural variations found in the wood grain. The impression created by letterpress is enhanced by using soft paper, such as their house paper made from recovered cotton fibers, and provides a tactile print with a well defined three-dimensional look. Just as each piece of wood will be unique, so too will each paper item that comes off the press – leaving you with an invitation suite that is full of character, texture, and timeless beauty. Night Owl Paper Goods http://nightowlpapergoods.com/ offers a large selection wood invitations with many coordinating accessories of eco-friendly wood and letterpress wedding invitations, note cards, gifts and goodies. Artful Beginnings http://www.etsy.com/shop/ArtfulBeginnings, http://artfulbeginnings.com/weddings.html makes fabric wedding invitations and special event invitations using a variety of unique and unusual materials such as 100% Belgian linen fabric, 100% Cotton Sateen, wildflower seeded paper, treeless paper, 100% recycled paper and others. Acrylic, paper and metal for a wedding invitation? From The Wedding Guys where “cutting edge” takes on a whole new meaning. Sarah Glad with A Milestone Paper Company https://www.amilestonepaperco.com/ created this unique design with inspiration from the Le Meridien Chamber Hotel in Minneapolis, MN http://www.lemeridienchambers.com/ lobby bar painting ‘Seabird’ by Gary Hume. There are four layers to the invitation which encompass paper, acrylic, paper and metal and each invitation was wrapped with a ‘polka dot’ band with the guests name clearly printed on the band for special delivery to the guests. For those that want a sweet and edible invitation, how about customized, engraved chocolate? Logos on Chocolate http://www.logosonchocolate.com/ can customize your chocolate invitation (just be sure to have your information printed on your customized wrapper as a reminder of your special day after your invitation is devoured by your guest). If chocolate isn’t your thing, how about a cookie invitation from Favor Affair http://www.favoraffair.com/Search.aspx?q=cookie%20wedding%20invitation? “Guests will have a hard time forgetting this sweet invitation. Laced with sprinkles, accented with two toasting flutes and covered in fine Belgian white chocolate“, this sugar cookie will take edible invitations to the next level. Your cookie is personalized with your names and includes RSVP information for guests to respond. Forever Fiances http://www.foreverfiances.com/ has a wonderful selection of handmade plantable seeded paper, which will grow wildflowers or garden herbs. Their 100% recycled plantable wedding invitations will keep your day a beautiful memory. With selections of their All in One Invitations (send and seal), save the date cards, thank you notes, and plantable keepsakes, your guests will be sure to remember such unique and beautiful invitations. For the truly unique invitation, here is a wedding invitation that turns into a record. Folded just so, this card turns into a manually operated paper record player that plays a song recorded by the future bride and groom. Designer Kelli Anderson at http://kellianderson.com/blog/2011/04/a-paper-record-player/ wanted to create something original for the wedding of her friends Karen Sandler and Mike Tarantino. All extraordinary weddings deserve an extraordinary wedding invitation such as the stunning designs of Lela New York http://www.lelanewyork.com/ where your couture designs are as special as your wedding. These couture wedding invitations were designed with Ivory silk outside and Gold silk inside. Lela New York's Gatefold Silk Box Invitations were custom designed right down to the lace detail that reflected the brides couture lace gown. where a remarkable fusion of silk, ultra luxe papers, peacock feathers and fine jeweled embellishments complete the look of this couture wedding invitation. Each guest received a complete silk invitation suite including the formal wedding invitation card mounted on 100% silk dupioni with a keepsake gold foiled wedding bookmark. Each invitation ensemble also included a custom response card, a private wedding itinerary card, travel reminder and of course a complimenting reception card. There are many factors to keep in mind when choosing your wedding invitations such as color, shape and style, but the bottom line is going to depend mostly on the design, your budget and also how you will be distributing your invitations. You want to make sure the presentation of your wedding invitation sets the mood for your wedding and correctly portrays your vision. Who ever said the awards can&apos;t be pajama worthy? Be comfortable with your friends and family while watching a few uncomfortable movie stars enjoying the glitz and glamour and even making some of your own. 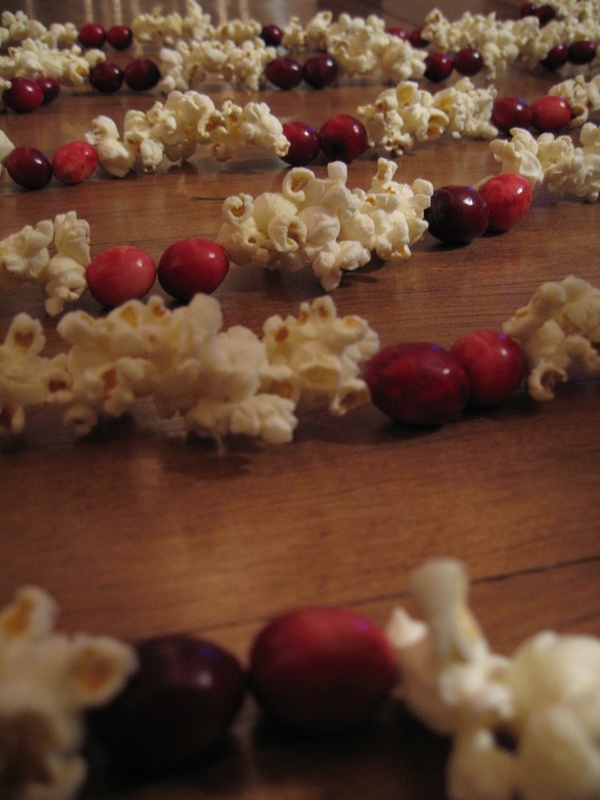 Serve up some fun with a simple popcorn party with plenty of options and creativity. Nothing screams the Academy Awards more than the red carpet. Set the stage with your own red carpet or have your table covered in red with gold stars everywhere of course. Have some fun with your guest with a simple ballot of "Best Dress", "Most Unusual Attire" and continue onward. Another option is a "Who Am I?" with clues from each movie. Create your own custom hashtag (ie #pricesperfectpopcornpajamaparty) have this handed out to all your guests so they are able to tag and keep the fun. Be sure to use your imagination and just have fun. Get comfy and enjoy the evening pajama style and may you receive an award! My earliest memories of the Daytona 500 were of me laying on the floor curled up with my blankets and pillows while the engines roar would lull me off to sleep as my family watched with scents of dinner wafting through the house. Now as I think of race day I include memories of gathering with friends with plenty of food and drink to share amongst the cheering and booing all in good fun. Still, secretly in the back of my mind while I plan a feast, I am most excited for a cold snowy day while curled up in my blanket. With plenty of choices for drinks, this year I wanted to add a fun spin on the basic beers and serve up a selection of a few flights. Of course, enjoy some dips and chips, maybe even a few vegetables. For that sweet tooth, how about some "dipsticks" - chocolate covered pretzel rods or your basic "tires" - Oreos of course. If you&apos;re feeling creative, give your hand at this amazing checkered sweet. And to tie things up, or in this case, a little tape and a lot of fun.